If the Dominican Republic has a well-kept secret, the western region of the country is it. Essentially, this region includes the area west of Santo Domingo, and it is still an undiscovered territory by many tourists. Visitors seeking areas less traveled would be wise to experience this peaceful region before it becomes a popular destination. 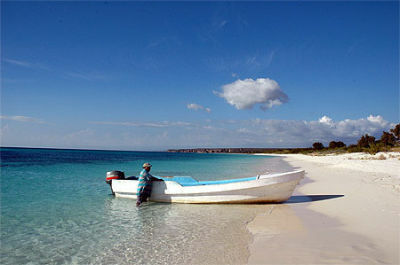 The farthest part of the region is only about a three hour drive from Santo Domingo or Santiago airports. Although the Dominican Republic provides a change of scenery at just about every turn, this region is the most diverse ecologically. Two salt water lakes, one being the largest in the Caribbean, provide a haven for massive populations of birds and reptiles. And while some sections of the area are mountain rainforest, other parts are pine forest and arid desert. Si la República Dominicana tiene un “secreto mejor guardado”, éste es la región occidental del país. Esencialmente, esta región incluye el área occidental de Santo Domingo y todavía es un territorio indescubierto por muchos turistas. Los visitantes que busquen áreas menos transitadas deben aprovechar esta región tranquila antes de que se convierta en un destino muy conocido. La parte más lejana está a sólo tres horas de manejo desde los aeropuertos de Santo Domingo o Santiago.